For information regarding suite rental, click on the link below to download a form. Food and beverage service to Pinnacle Bank Arena's premium seating areas will be provided by SAVOR. Do premium seating patrons have access to a club lounge? Premium seating patrons and their guests will have access to the premium level lounge offering spectacular views. Premium seating patrons and their guests will have a private entrance and elevator to the premium seating level. 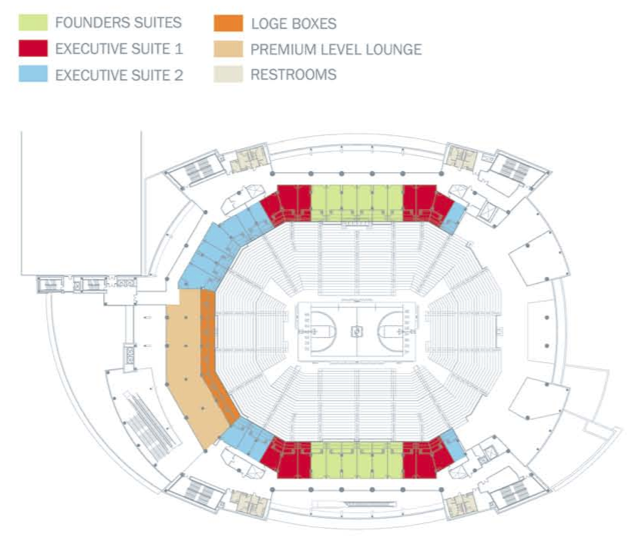 Loge boxes offer first-class features and amenities, including a food and beverage counter, chic caster chairs, in-seat wait service and access to the arena's premium level lounge.